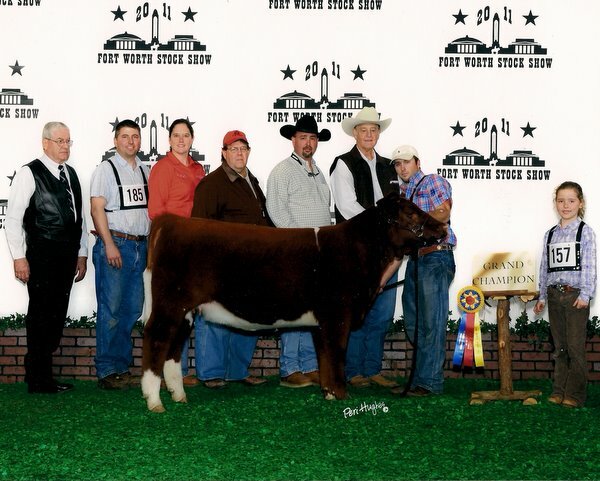 4J Family Cattle made it's presence known at the 2011 Ft. Worth Stock Show. 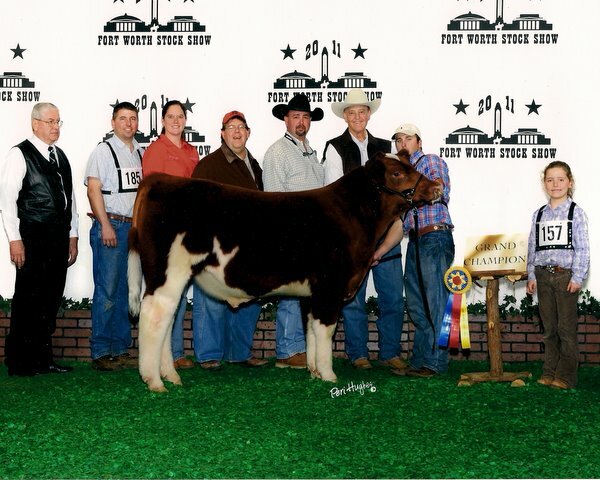 As our advertisement said, we came with a stacked deck. 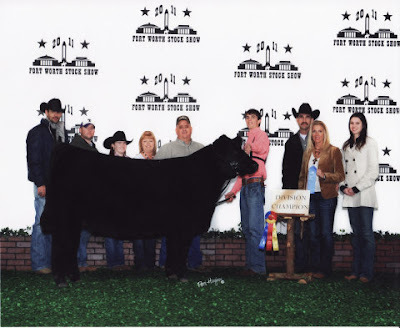 Zane, Traci, and Natalie Mai of ZNT Cattle Co.
And Thank You to Boyd Feed Store and Martindale Feed for providing us with such an excellent feed to get us into the winners circle.